Many Studios is not only home to more than 60 creative practitioners and galleries. Our amazing location in the heart of the historic Barras Market is a unique setting suitable for a range of events. From workshops and conferences to panel debates, to drinks receptions and hackathons. 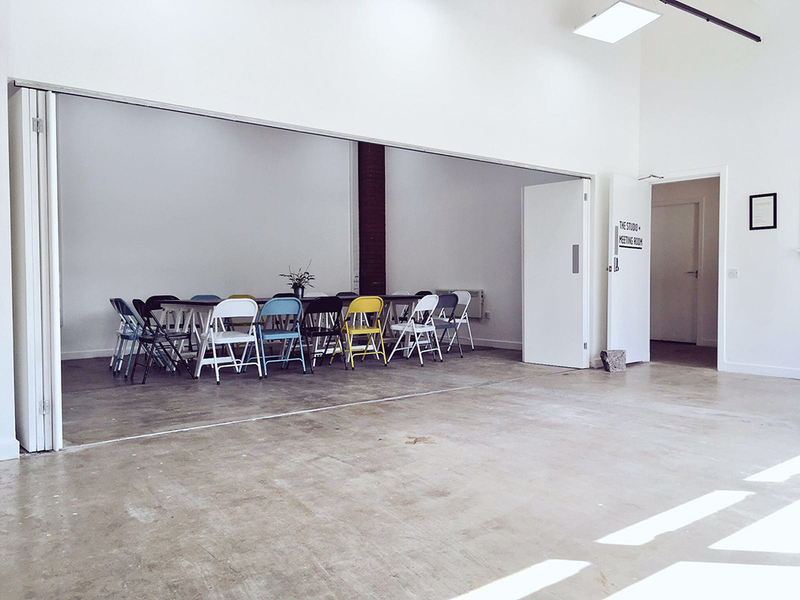 Everything we host is marked by the energy of the creative community around us (literally!). Our main 110 sqm event space is multi-purpose with modular elements allowing you to divide the space into smaller areas, with shop front windows and a dedicated entrance onto the street. Your booking includes furniture for all types of events, high quality projector and screen and sound system. It accommodates a maximum of 100 people (standing) at full size.